Ebro has always been a step ahead of new consumer trends and an international benchmark in the research and development of products for the food sector. R+D+I is essential for developing our quality and differentiation strategy. 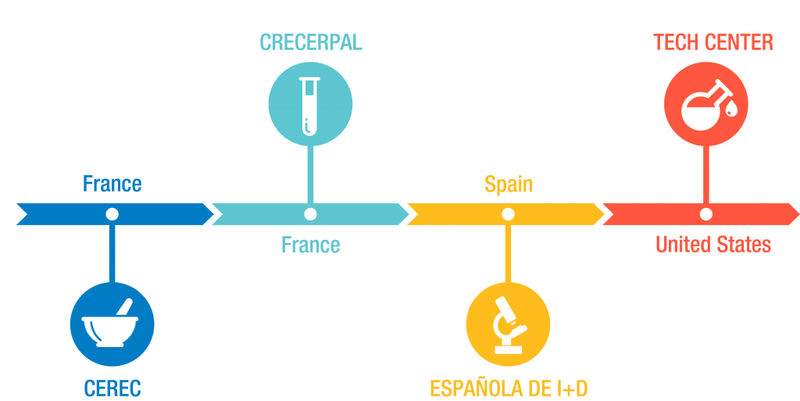 Our R+D+I activities are carried out by different research centres in France, USA and Spain. CEREC, in St. Genis Laval (France), focuses on developing the pasta division to improve its fresh pasta, potato, fresh ready-to-serve and sauce ranges. CRECERPAL, in Marseille, focuses its research on developing the durum wheat category, including dry pasta and couscous, and new food processing technologies applied to cereals. TECH CENTER, in the United States, develops new products, processes and technologies and adapts them for the US rice and pasta divisions. ESPAÑOLA DE I+D: made up of several R&D centres of the Herba group in Moncada (Valencia) and the plant at San José de la Rinconada. It focuses on developing new and/or improved products and technologies and providing technical assistance in the areas of rice and rice-product technology for modern eating habits: fast-food and catering.